The Keetsa Cloud is a large, natural, body-conforming memory foam mattress that features patented memory foam and offers firm support. You can purchase it at a reasonable price. This is most suitable for those who are on the lookout for a firm mattress that is made up of organic materials. Keetsa is a family-owned and California-based company that has been offering environment-friendly mattresses for more than a decade. It is their goal to constantly lessen the carbon footprint while creating long-lasting and high-quality products. The Keetsa Cloud is among the all-foam mattresses that the company offers. It features the patented BioFoam, an industry-standard fire barrier, organic cotton fabrics, and stylish and clever packaging. 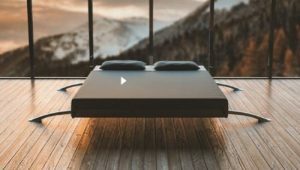 This mattress is designed to allow users to experience a comfortable and restful sleep. The “Cloud” in its name is misleading since this mattress is more on the firm side in contrast to its counterparts. Its eco-friendly feature means that customers pay a bit higher than those less eco-friendly variants. The first two memory foam comfort layers are composed of high-density memory foam, which is separated by a fire-protection inner cover. A fire-safe bottom cover is situated underneath the support foam. The sides are also wrapped with fire-safe covers. The covers are all made up of 100% cotton and fire-safe fabrics. It does not contain PBDE substances. This means that they adhere to the standards regulated by the federal government. The fabrics are also tested by SGS laboratories. The sides are embellished with a green chenille border, which gave it a soft, feathery finish. The Keetsa Cloud mattress is made up of memory foam, including the high-density BioFoam. The majority of memory foam mattress companies utilize 100% petroleum in the manufacturing process, and this is a concern for many people when it comes to safety for both humans and the environment. The BioFoam patented by Keetsa contains plant-based castor bean oil as a smart alternative to 12% petroleum content. As indicated by the company, more than 12% petroleum replacement can compromise the foam quality and durability. However, the company is still in the process of developing techniques and manufacturing procedures to increase the plant oil content of the foam. 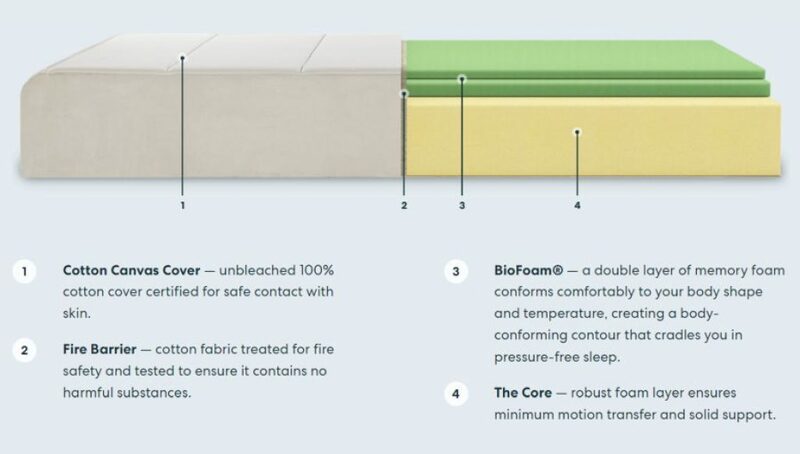 Similar to other top-notch mattresses, the Keetsa mattress is wrapped with a cover that is made up of 100% unbleached organic cotton and contains PBDE-free fire retardant treatment as fire protection. Organic mattresses usually cost thousands of dollars. 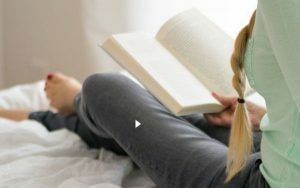 Although Keetsa is not totally made up of organic materials, it is among the most affordable mattresses nowadays that contain organic substances. This product certainly offers value for money. A box spring foundation is not necessary because of its highly supportive layer. The mattress can function well as long as it placed on a flat and stable bed foundation or frame. The Keetsa Cloud does not live up to its name; it is not soft and plush, but it is firm. This is most suitable for stomach and back sleepers and others who prefer a firm mattress like the Japanese futon. It comprises a 2.5-inch memory foam comfort layer that is made up of 3-pound high-density memory foam. The other layer is 7.5-inch support foam, which prevents your body to sink too much on the mattress. However, the company claims that this feature is enough to conform to the body’s contour and give sleepers a comfortable hug. Moreover, side sleepers should be cautious enough when using the mattress. This does not provide a cushion for the hips and shoulders. Even back sleepers with beyond the normal curve in the lumbar portion may find this mattress uncomfortable. For those who find this mattress too firm, they may opt to use a quality mattress topper to soften the sleeping surface. Generally, Keetsa utilizes a slightly different scale when measuring softness: when it is medium, it is considered firm; when it is soft, it is considered medium. Many customers observed that the mattress can excellently isolate motion, which is a common expectation of foam mattresses. The high-density foam (3lbs/cu.ft) on the top 2.5-inch memory foam highly absorbs motion. Therefore, you won’t be disturbed by the movements made by your partner, allowing you to experience uninterrupted sleep. The type of mattress is not the only factor that can impact motion transfer, but the bed sheets as well affect the capacity of your sleeping surface to isolate motion. Thus, it is best to use a separate bed sheet if you’re highly sensitive to movements. The Keetsa mattress does not utilize any specialized heat-regulating technologies. Other high-end memory foam mattresses such as the Casper mattress and Comforpedic Beautyrest products have heat-regulating features. However, customers have no complaints as regards heat retention. Some claimed that it may get a bit warm, but not too hot. The breathable organic cotton covers make the sleeping surface cool and comfortable. Although new memory foam mattresses are expected to emit an undesirable odor, known as off-gassing, Keetsa customers have no complaints about this issue. If you notice a slight odor upon opening the packaging, the company recommends removing the outer covering. Then, place the mattress in an open space. The smell will just dissipates in one to two days. The mattress is certified by the CertiPUR-US; this means that the volatile organic compound (VOC) content of this product is within the safe level. Any gas emitted by this mattress is harmless. All the mattresses will have a total height of 10 inches when they expand after unpacking and decompressing. Keetsa Cloud mattress does not require a support foundation like a box spring since it has a highly supportive layer. Rather, you can place it over a solid, firm surface or in a bed frame recommended by Keetsa. You can use an existing box spring bed without flex and in a good condition. You can also opt for a slatted platform bed that has 2-inch wide slats and less than 4 inches distance between slats. To prevent the warranty from becoming invalid, avoid placing the mattress on the floor, on a non-breathable solid bed foundation, on an adjustable bed, or on a Murphy bed. You can place a mattress pad over the mattress and Keetsa recommends using pads to protect the mattress. Those who want to have a soft sleeping surface can also use a topper. However, the company claims that the firm surface will just soften over time. The mattress is wrapped with a removable and washable cover. Stains can be spot cleaned using warm water and mild detergent. Do not wet the foam layer; otherwise, it will be damaged. Dry the cleaned area before replacing the bedding. You can use a hair dryer to dry especially large areas. You can rotate the mattress every 6 months, but don’t flip it. Never fold or bend the mattress after unpacking as it can void the warranty. Several customers have varying comments as regards the durability of the Keetsa Cloud. Some customers have been using it for more than 5 years without complaints. Others have observed that the mattress becomes soft and uncomfortable after 3 years of use. The company does not provide comfort guarantee for this product. If you are not satisfied with the product, you can contact one of their sleep consultants through this number:877-753-3872. They will provide recommendations as regards the right mattress toppers that you can use to get the most benefits of the mattress. You are allowed to return the mattress within the first 90 days of purchase (only after you have tried it for 30 days); however, you need to pay the 25% fee according to the mattress’ purchase value. Keetsa offers a warranty of 12 years for this product, which is a bit better than the 10-year industry-standard warranty but not as amazing as the 20- to 25-year warranty offered by high-end brands. The warranty covers all factory defects. The warranty also includes sags of 1.5 inches or more, which is the conventional coverage; however, the more than 0.75-inch sag coverage offered by top-notch brands such as Tempur-pedic is much better. 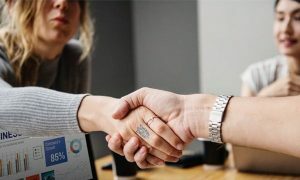 If you want to claim the warranty, the original invoice is required in order to validate that you are the buyer since the warranty is not transferable. Keetsa offers transport cost savings to their customers. They have highly efficient, patent-pending compressed packaging system. The mattress is well compressed up to 75% of its total volume during packaging. It can be conveniently placed in the back seat or trunk of a conventional vehicle. According to Keetsa, this is made possible because it is made up of highly responsive and durable materials. After you have opened the sealed bag, you may observe that the mattress immediately decompresses and expands around 80% to 90% of its maximum size. It will fully expand after 1 to 3 days, but it can be used right away after opening. Initial wrinkles and rounded corners will just firm up after it has fully expanded. The price of a queen-size Keetsa Cloud mattress is $1,048.95 on their official website. 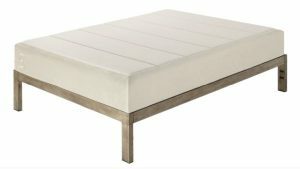 This makes this mattress belong to the mid-level price category for memory foam mattresses, even though this is made in China and even though it does not highlight any interesting properties apart from its environmental consciousness. As a whole, the Keetsa Cloud mattress is most suitable for those who want to purchase a firm mattress at a reasonable price. This is also a great choice for those who are environment activist because of its less carbon footprint.